Pretty-Love the colors of chard! just bought some rainbow chard...love every chard:)so pretty! Never realized chard could be so pretty. Nice! What a lovely shot! What I want to know most is what do you plan to do with the chard! Heh. very cute... 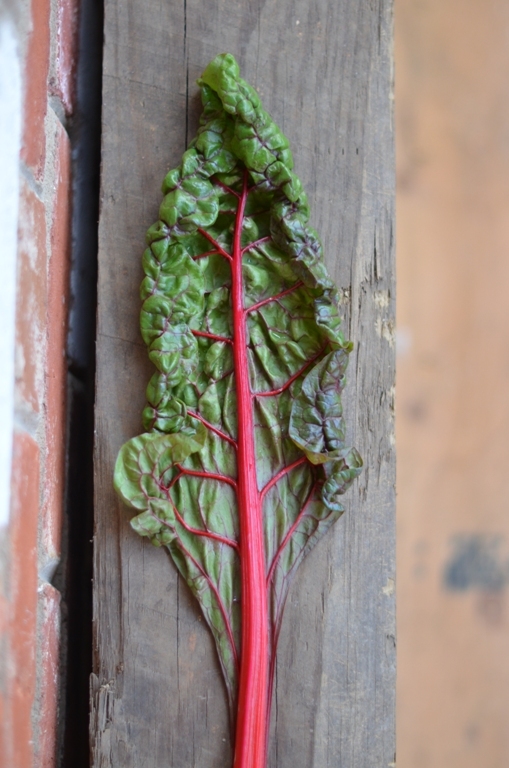 I've always loved the veins in red chard. Chard is absolutely gorgeous! I'm tuning in for what's coming next! very lovely. rustic and dreamy. Stunning photo Shulie! I absolutely adore chard.